Are you looking for inspiration to take creative and bright photos? We present you the professional watercolor brushes Photoshop free, which you can use for your individual and commercial purposes. With the help of watercolor brushes for Photoshop free you will turn the ordinary images into a digital watercolor drawing. If you are amateur in this questions – trust FixThePhoto, our watercolor brushes are easy to use even for those who don’t know Photoshop. 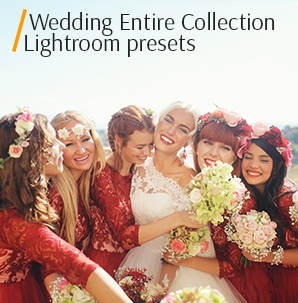 This product was tested on hundreds photos: wedding, newborn, couple, landscape, interior, still-life, etc. and had amazing results. Delicate watercolor stains, artistic brush strokes, paint splashes, water stains, blots, chaotic stains from paint, etc. all this can be become real on your photos having installed the following free watercolor brushes Photoshop. All designs are light and airy. Let the photos became stylish and memorable in 1 click. Created by our professional designers 10 Photoshop watercolor brushes free will help you design new and original images, add a texture, realism or fantasy with notes of creative negligence to them. In the set of Photoshop watercolor brushes you will find a variety of shapes and colors, which convey the specifics of drawing with watercolors. We took into account the pressure of the brush, its transparency, and shape. By using these free Photoshop watercolor brushes, you will be able to convey your idea and make extraordinary backgrounds. 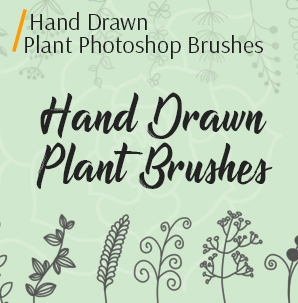 If you are an illustrator, retoucher or designer, such set of Adobe Photoshop watercolor brushes must be at your workplace in PS. These Photoshop free watercolor brushes are completely flexible and have a complete look, so you do not need to draw them your own, only download them to your laptop and start retouching the image. 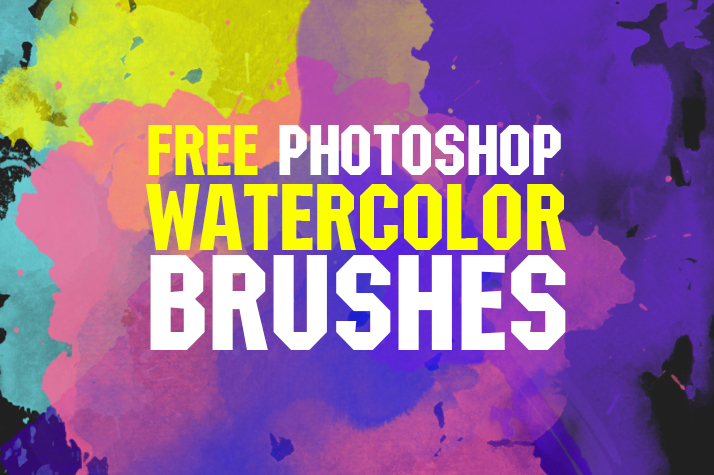 • 10 different Photoshop watercolor brushes free download with short descriptions, tips to use. • The given Photoshop watercolor brushes free are presented in the universal ABR format. 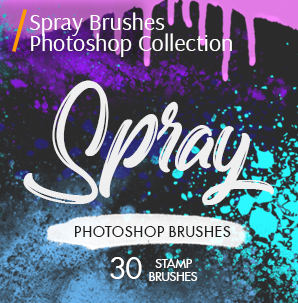 • Upload your images and apply brushes in any Photoshop version, Release 4-6. • Your images should be in RAW or JPG format, it's convenient and does not distort quality. 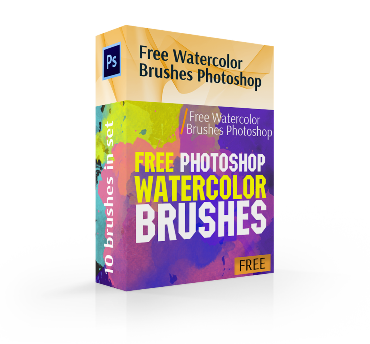 • Under each free Photoshop watercolor brushes, you will find a link to a quick download, no payment, and no long registrations. Imagine that a drop of water-colored red ink fell on a dense embossed paper and formed an uneven spot. This watercolor Photoshop brush repeats such spot, formed as if by accident, it has uneven shape with small sprays. You can use it making cards and envelopes, as well as apply for accents in the design of posters and advertisement. Before you start working with our free Photoshop watercolor brushes, read the manual for using the tools and study their specific work. If you saw an X-ray, then this is just the tool that reproduces the spot from the watercolor paint on paper taken through the X-ray. 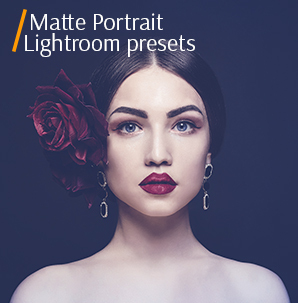 This brush can make portraits and other photographs look antique. Frequently used for styling websites, postcards and other things. The effect will imitate the drawing with watercolor made by hand. Using Photoshop filters, create a base for the effect, and then make the photo effect natural using the paper texture and watercolor brushes free Photoshop from the web. These Photoshop watercolor brushes resemble a dense cluster of bright particles in the night black sky. It is a common spot from the watercolor paint of violet. Such bright spots can decorate night photos and portraits. They are also useful in creating wallpaper or background in the designing. To get a more realistic result, vary the size of the brush. Use other types of free Photoshop brushes watercolor, combine them, play with setting and transparency. We took a wide roller, dipped it in a fluorescent purple dye and made several horizontal strokes one time, which have a sufficiently saturated texture. 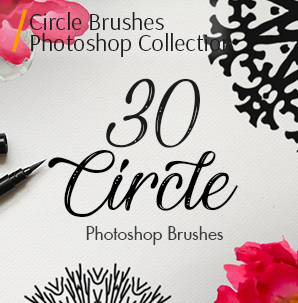 Such brushes can serve as a background for creating wallpapers, posters, business cards and other things for the printing. Also, using these Photoshop free watercolor brushes you can cover unwanted objects on the backgrounds in different styles of photography. Use the Brightness/Contrast settings to make all the details look harmonious with the rest of the composition. Looks like the previous free watercolor brushes for Photoshop but has a bright yellow color and is presented in the form of a careless drawing from the brush. 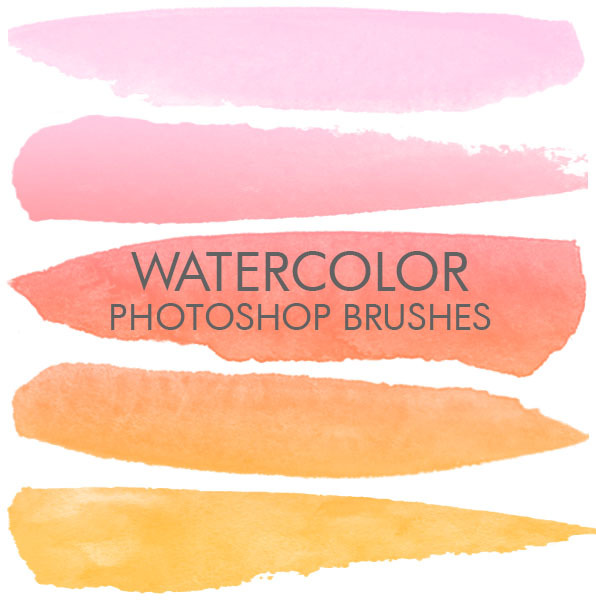 Use these free watercolor brushes Photoshop in creating a bright sunny background during digital drawing, designing postcards or retouching children's photographs. Apply brushes to photos that have a watercolor background or some individual elements in this style, so you draw the look of the viewer and do not break the integrity of the picture. A neatly drawn trail from a soft brush on paper that was dipped in red paint. Unobtrusive appearance and deep red color add mystery to the image. Very atmospheric such watercolor brushes Photoshop free look on posters for films (thrillers, horrors or dramas). The brushes do not have a special purpose, you can use them at your own wish anywhere, if only it would be appropriate. Remember, only a light background and warm shades will make the whole photo clear and airy. Otherwise, you will give depth and intimacy to the image. In this example, you see clear and jerky strokes from the brush, which are arranged horizontally. The strokes are made in blue tones and have uneven texture and transparency. These watercolor brushes free Photoshop can be safely used to draw the sky on photographs or even the look of water. If you need to save minimalism on your photo, it is enough to create a few simple stylistic watercolor strokes that will decorate the background and make a pastel look. This brush looks like the imprint or flow of paint, rather than purposeful strokes from the brush. A neat and unobtrusive use of these brushes will give the warm to portraits (children's, wedding and newborn). Be careful, they are good not for any type of photos. 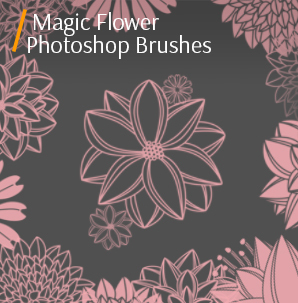 Use this brush for the images in bright tones only. This set of watercolor brushes Photoshop free combines traces of bright green and lemon colors, sprays and sloppy spots from the brush. Your posters, children's photos, postcards, websites, business cards and presentations, films covers will change significantly. They will look creative and design-casual. Use these brushes in the form of a background or by combining it with other types of brushes and tools to get volume and unique works. These two random spots of dark red color can be compared with the released smoke. The prints of watercolor paint soon leaked to another surface than were specially painted on it. Such free watercolor Photoshop brushes save your time and allow using them many times, changing the transparency. Blur in the middle pushes the imagination and depth of the image, which can be added to black &white portraits or posters. If you are a fan of strictness and conservatism, then watercolor effects will help you to simply develop creative thinking. Discover all the power of Photoshop, using our rich collection of watercolor brushes for Photoshop free. 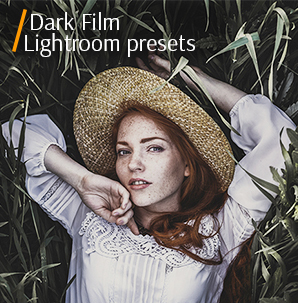 Make your photos bright and funny with this bundle.